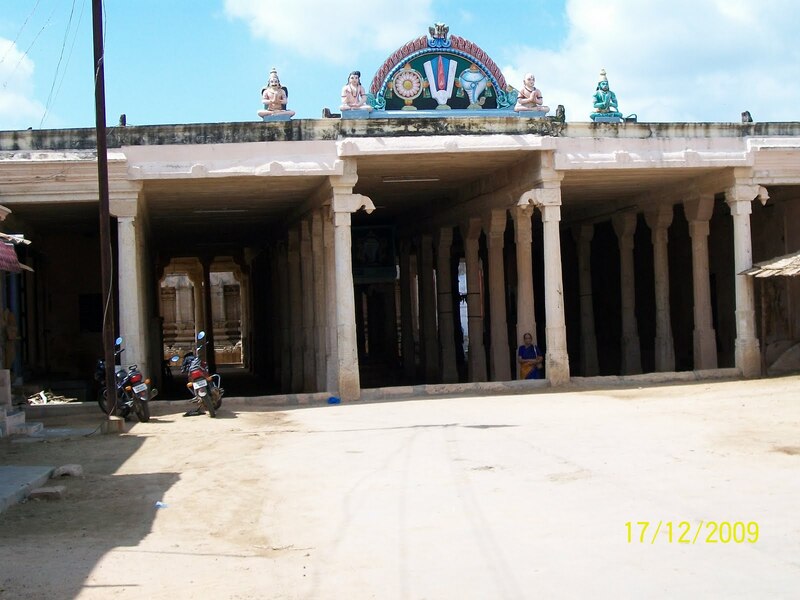 The temple is the seventh among the Nava thirupathis. It comes under the Panidya naatu divyadesams of Sri Vaishnavas. The presiding deity is Makara Nedunkuzhaikkaadan perumal in a sitting posture with left leg folded. Brighu muni and Markandeyar are also present in the sannadhi. The utsavar is known as Nigaril Mugil vannan perumal. There are seperate sannadhis to both the thayars - Kuzhaikkaaduvalli thayar and Tirupperai nachiyar. 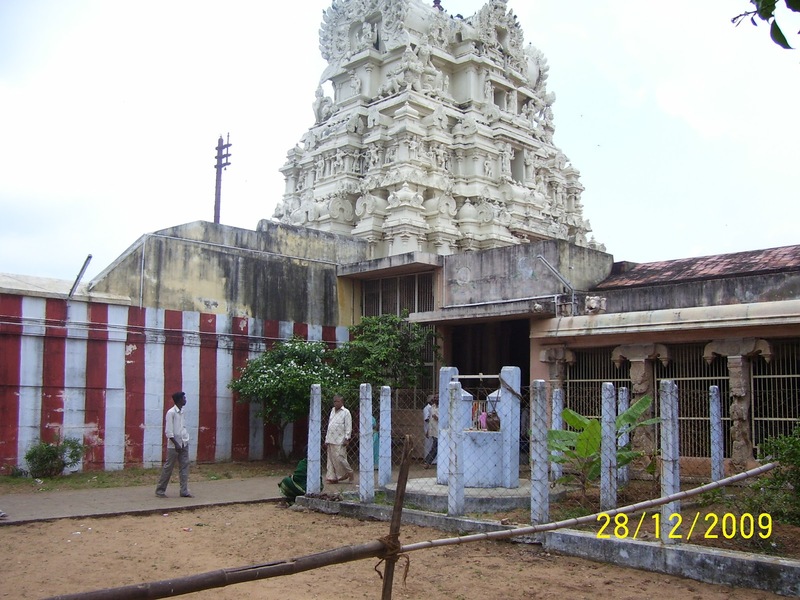 The temple represents Shukran sthalam among the Nava graha kshetrams. The name assigned to the Lord is said to based on an interesting episode. Bhoomi Devi and Lakshmi Devi are his consorts. It is said that Lakshmi Devi once had the strange feeling that the Lord was more attached to Bhoomi Devi because of her extra personal charm. She approached Dhurvasa Maharishi and requested him to bless her with the same kind of good looks as Bhoomi Devi had. When Dhurvasa went to see Bhoomi Devi, she was found sitting on the lap of Lord Vishnu. She did not pay much attention to the Maharishi. Angered by this, Dhurvasa, who had the reputation of being short-tempered, cursed her and made her look exactly like Lakshmi Devi. When Bhoomi Devi pleaded for pardon, the Maharishi asked her to proceed to this place, chant the ‘ashtakshara mantra’ of ‘Om Namo Narayanaya’ . Bhoomi Devi did so. While she dipped her palms -held together- in Tamiraparini river water to offer ‘Argyam’ to the Lord, two ‘Makhara Kundalams’ ( Fish-shaped ear-rings) landed on her palms. They were quite attractive. She offered them to the Lord, who wore them. The Lord got the present name, ‘Makhara Nedunkuzhai Kadhan’ after this episode. Bhoomi Devi regained her original looks and personal charm. The Utsava Moorthi here is called ‘Niharil Mukhil Vannan’. His consorts are known here under the names “Kuzhai Kadhu Valli Nachiyar” and “Thiruperai Nachiyar”. They have separate Sannadhis within the temple premises. Having been defeated by the Asuras, Varuna (the Rain God) lost his chief weapon (he had earlier insulted his Guru and hence this fate) and undertook penance here. Lord Vishnu is said to have appeared before him on the full moon day in Panguni and helped him recover his lost weapon as well as his powers. As a mark of this episode, it is believed that Varuna, visits this temple, every year, on the full moon day in the month of Panguni (March-April) to worship Vishnu. The temple is open in the morning from 7 am to 12 noon and in the evenings from 5 pm to 8.30 pm.